This wonderful book is an ideal Christmas gift for any aged girl-restless or needing to be restless. Indeed I think Jessie Burton's fairytale is a MUST HAVE for every family with girls in it. 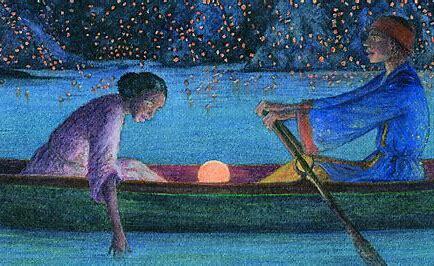 It's a beautifully told fairytale with the most wonderful illustrations by Angela Barrett. 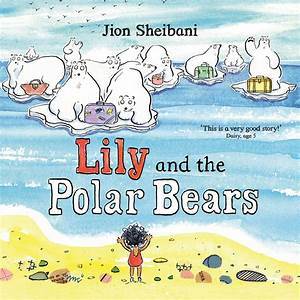 It is thoughtful, subtle, heartening and hopeful for anybody who wants to raise adventurous children. Get a copy - you won't regret it whatever age you are. Jupiter turned serious. 'A noble and valiant cause, I'm sure,' he said quietly. 'Protecting the Fires State from those most in need of its help.' "
'Nevermoor' by Jessica Townsend is a book which has been tempting me for the whole year. I've realised I've had a poster up for it in the classroom for a year too. Finally I opened it a few weeks ago. It's definitely one for Harry Potter fans but it's original so no worries there. 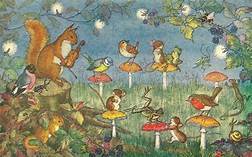 There is magic in it, characters you emphasise with and an air of many mysteries. It has some pertinent things to say about how we treat people who are most in need of help....The book also involves some magical umbrellas hence the front cover. A book for 8+, a super holiday and beyond read to get your summer reading started. 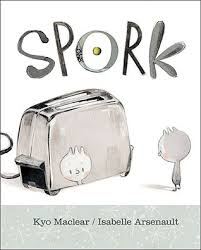 'SPORK' by Kyo Maclear and Isabelle Arsenault has been around for a while but I happened to read it in assembly and it completely captivated it's audience-quite rightly too. 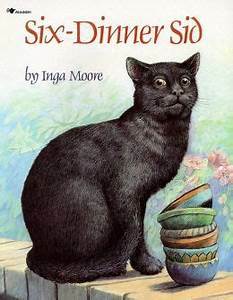 It's a wonderful story-I didn't think one would feel very moved by a utensil with feelings! It's more than that though-a wonderful story about not quite fitting in anywhere and needing to become OK with yourself. Wonderful how this idea so clearly demonstrates such an important message for everybody. 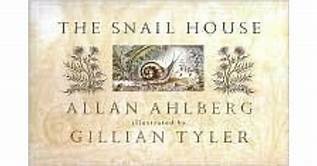 The illustrations are mainly grey wash with a little hint of colour and are very appealing. It's such a sweet little book you must get a copy! Yes everyone should, probably from about 11+ as there are some situations Makepeace, at the centre of the story, finds herself in that are a little bit scary for maybe younger readers. 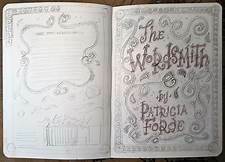 It's a real page turner, a fairy story set in the time of the Civil War but not a fairy story in disney style in any way. The writing is evocative, you're right there with all the sights, smells and tension and it's a great piece of the history of the time too. 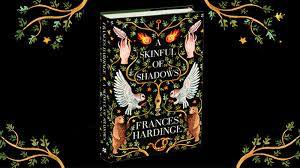 I had to pace myself lest I finished it too quickly....yes you should read it 'RIGHT NOW'. 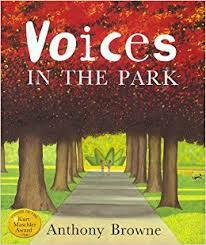 Having just done some drama activities with EYFS/1/2 using the wonderful 'Voices in the Park' by Anthony Browne I felt the need to remind everybody else about what a fantastic book it is on so many levels. As we looked at it together there were so many things for the children to spot, so many ideas, so much feeling and so much unspoken but alluded to-it gave us lots and lots to work on and EVERYBODY saw something in it that I hadn't seen before. Don't you just love that when it happens? 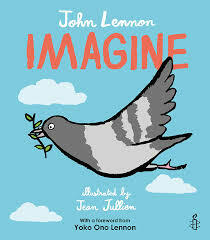 'Imagine' by John Lennon is not new of course but this beautiful hardback book is published by Hodder for the always powerful Amnesty book collection. It's a reminder of the power of this song and the pages show the journey of a young pigeon spreading the message of peace and love-one that we seem to need more than ever. 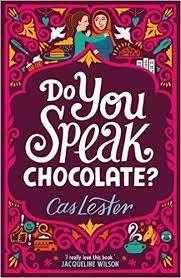 'Do you Speak Chocolate' by Cas Lester is a pertinent, moving book for our time (10+). It's moving, funny, spot on in terms of girl friendships and just the book every Yr 6 upwards book corner should have IF NOT the book that should be read aloud at the end of the day. 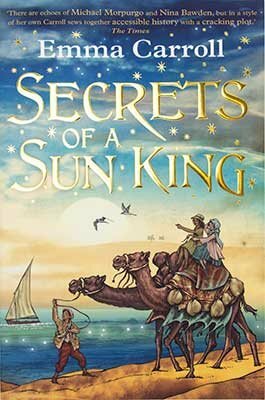 It's about the arrival of Nadima who speaks no English and is thrown in at the deep end in Yr 7. Jaz makes friends through sharing a square of chocolate (hence the title) and the story roll-on quickly. We learn much more about Nadima but also about the other girls and the things they face and how barriers can be broken down with kindness and understanding. It's important, it's relevant and it's written in a very 'down to earth' easy to read style which makes you want to read on. 'The Legend of Podkin One - Ear' by Kieren Larwood (9+) is my bed time reading at the moment. 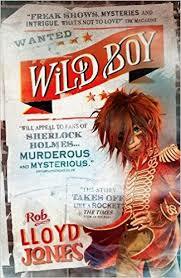 It's a great action fantasy read. It seems to move on really quickly as, to celebrate special festival a storyteller arrives at a warren...he tells the story of Podkin One-Ear from the start. Everyone listens, rapt, as they are drawn in to this rabbit legend and consequently we get drawn in as the reader too. It's a fast paced read and very enjoyable. It's not all lovely cute rabbits - there's a merciless iron clad group called 'the Gorm' who gradually turning all the warrens into evil. It is up to some very young rabbits to try and stop them. I can't wait to read more when I've stopped blogging!